Go Karts and Quads are both excellent activities for groups (Stag Do, Hen Party, Birthday, Corporate events, Charity fundraising etc), families as well as individuals. However, there is a driving activity that combines the thrill and excitement of Kart racing with the terrains accessible to quads. 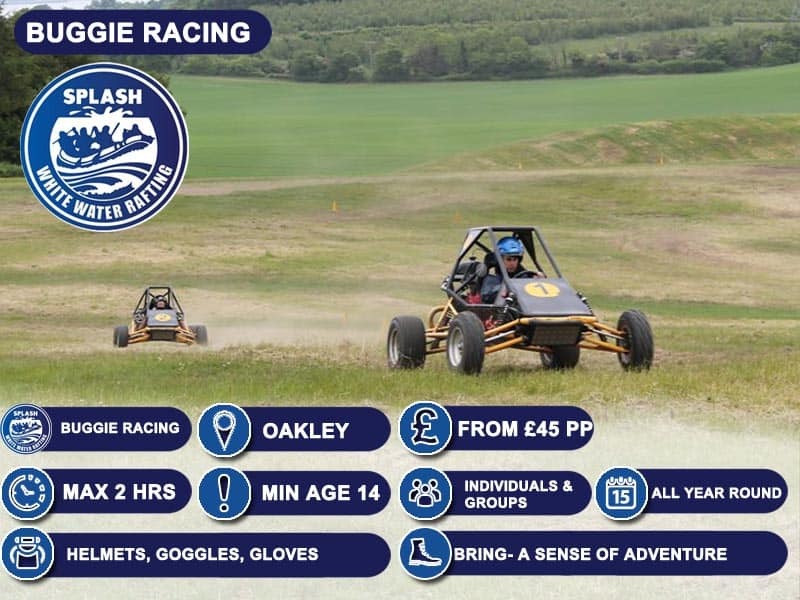 It’s called Buggy Racing and it is now available for Splash White Water Rafting customers. Are you ready for Buggy Racing? 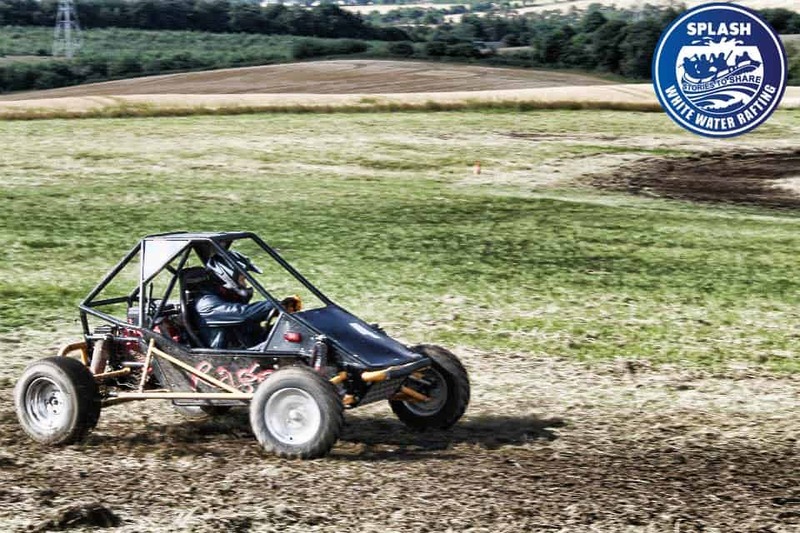 Buggy Racing is a fast-paced racing adventure which is done on either dirt or grass race tracks, we offer both. The Buggy is a resilient and rugged beast, with quality shock mounts and a roll cage just in case!!. Yes, when you arrive we kit you out with everything you need ie helmets, goggles, gloves and waterproofs (if it’s wet). 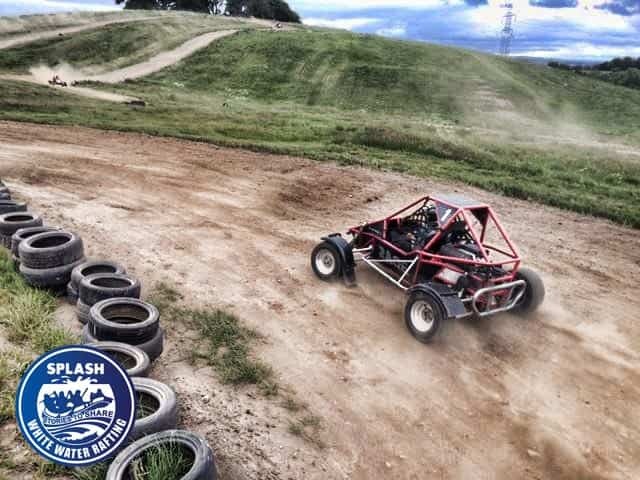 Once your suited and booted we give you a full safety and driving brief, showing you around the Buggy and making sure that you have the best knowledge for shaving those seconds off your laps. The sessions last approx 1 hr 30 min to 2 hrs, depending on the size of the group and options selected. Is there a winners podium? Of Course, there is!! We have a 3 person podium for the stars of the day.